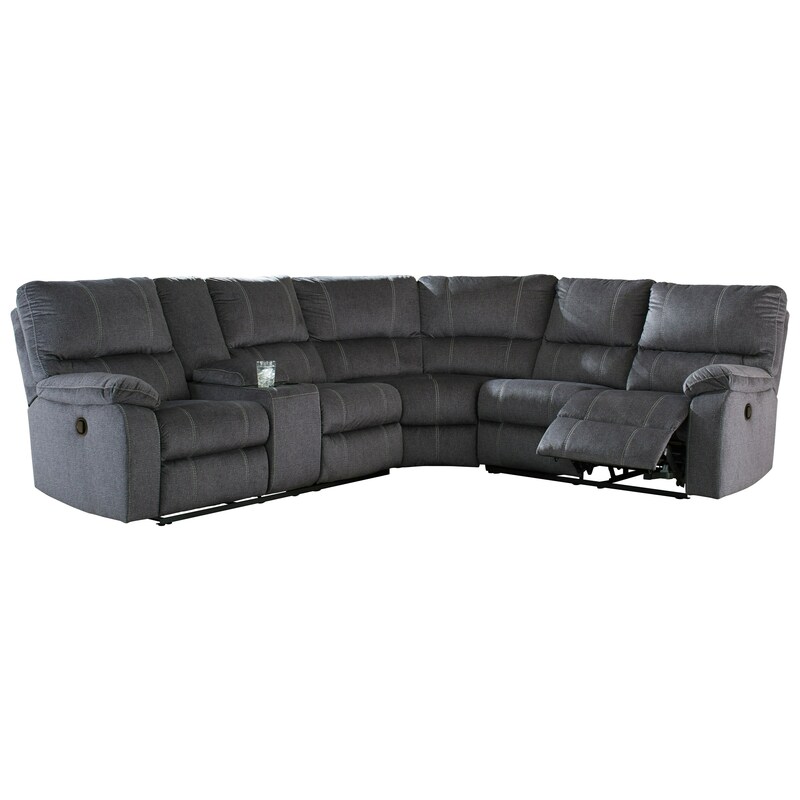 Padded pillow arms and channel tufting give this sectional extra comfort in all the right places, while the exterior handles allow you to kick your feet up and relax . Jumbo stitching adds subtle design to the overall casual feel of this piece. The Urbino Casual Reclining Sectional by Signature Design by Ashley at Miskelly Furniture in the Jackson, Pearl, Madison, Ridgeland, Flowood Mississippi area. Product availability may vary. Contact us for the most current availability on this product. Create a living space that oozes comfort with this reclining collection, which features power and manual options, all upholstered in neutral colors that will blend effortlessly with your space. 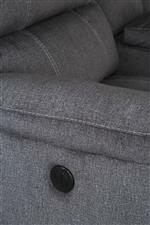 The Urbino collection is a great option if you are looking for Casual furniture in the Jackson, Pearl, Madison, Ridgeland, Flowood Mississippi area.